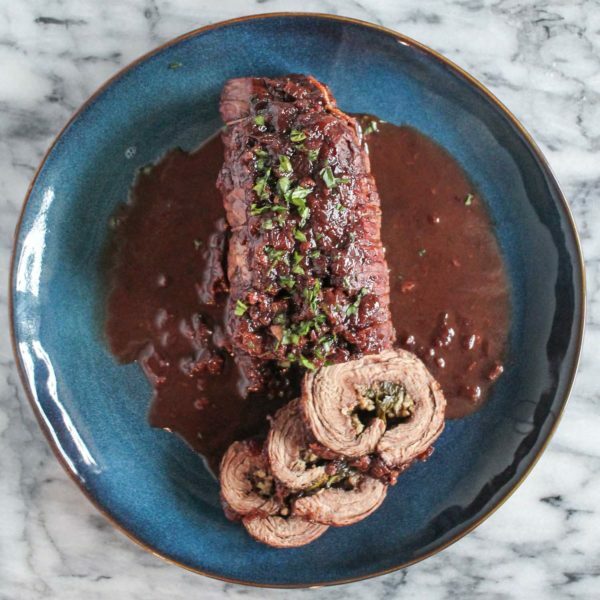 My Mom’s recipe for Braciole with a Red Wine Sauce is a family favorite – just don’t tell her that I gave it to you. 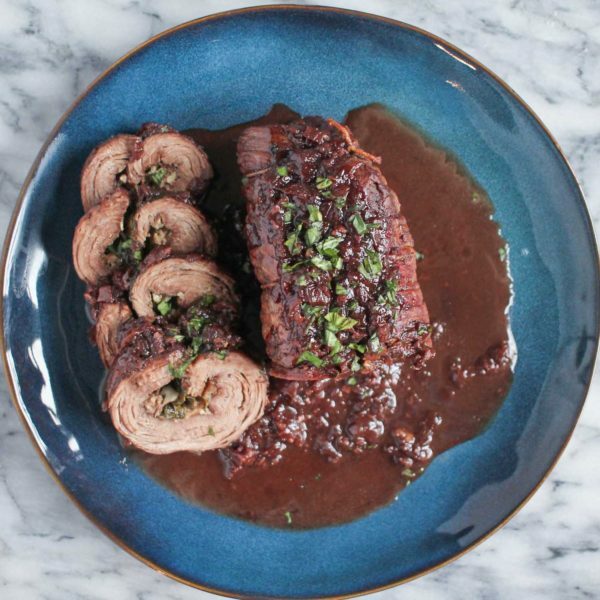 Recently my recipe for Braciole has become one of the most popular recipes on this site, which inspired me to share my Mom’s recipe for Braciole with a Red Wine Sauce. 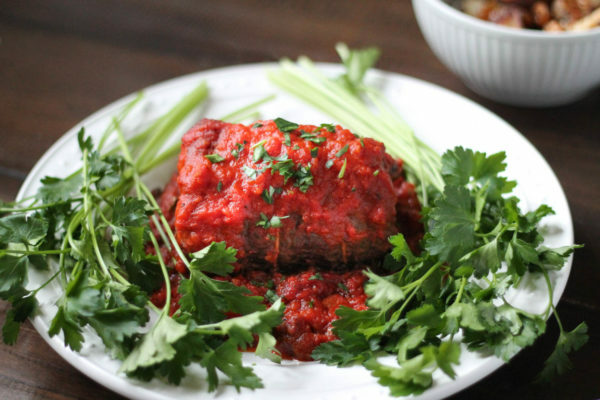 It’s completely different from my recipe that is made by cooking the beef in a marinara sauce. 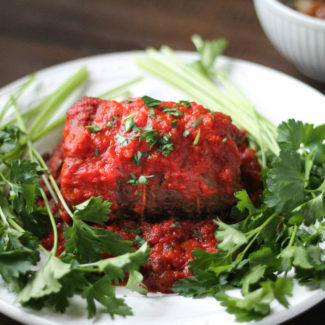 My Mom’s recipe replaces the marinara sauce with a rich red wine sauce that is seasoned with onions and beef broth. 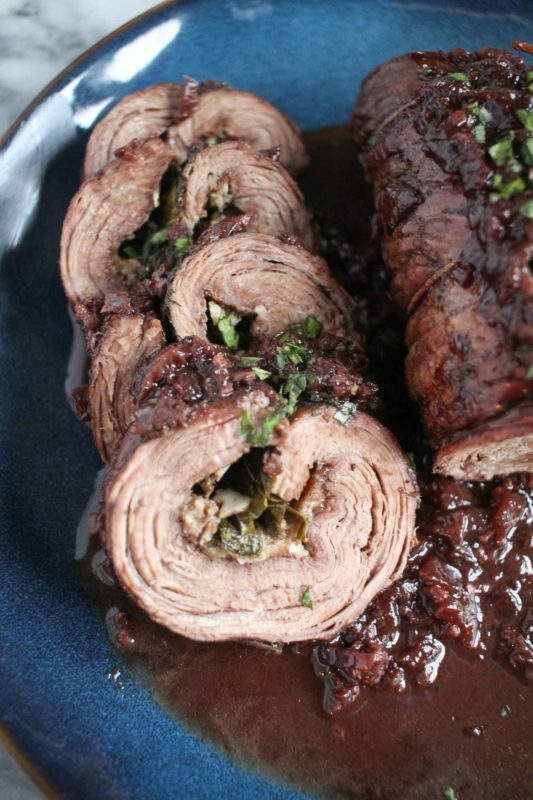 Braciole is one of those recipes is that perfect to serve at a dinner party. 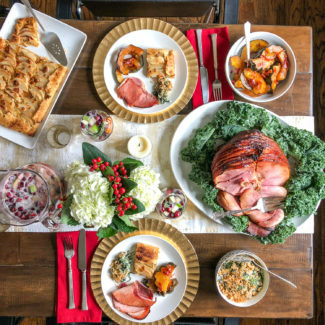 It’s a decently foolproof recipe that bakes for hours so that you can have it cooking in the oven when guests arrive (your home will smell wonderful). 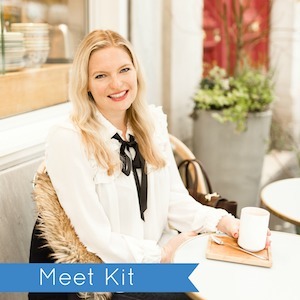 When I am entertaining guests I love to find recipes that can be completely prepped ahead of time so that I can relax and sip wine with my friends. When my sister was in elementary school she did a project where she put all of our family recipes in a cookbook. 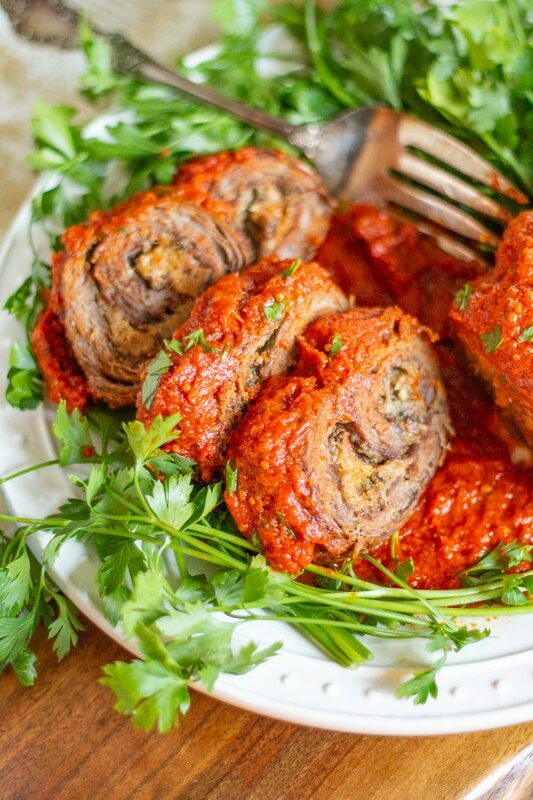 That cookbook has become our family’s number one resource for Italian recipes. There is a problem with my copy of the cookbook, though. It doesn’t have page 35, the page where this recipe is found. 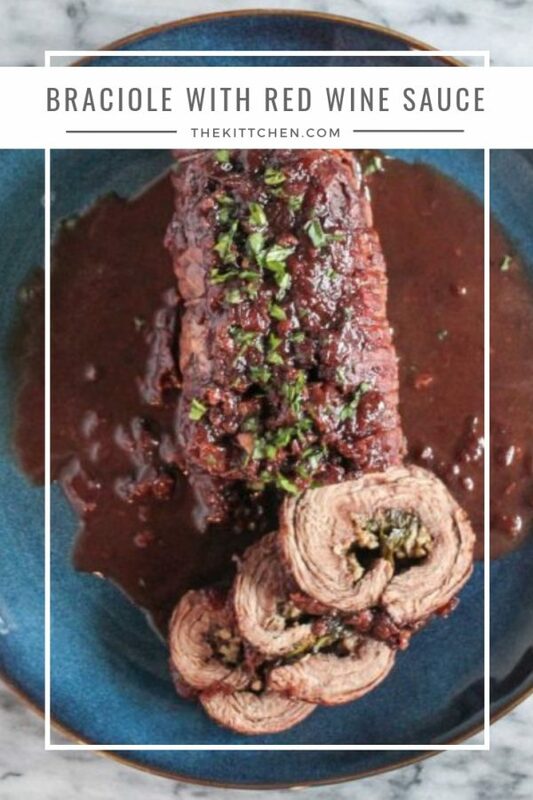 When my family saw my other Braciole recipe on this site they commented saying that they prefer the Braciole with a Red Wine Sauce. I had no idea what they were talking about until we realized the flaw with my copy of the cookbook. 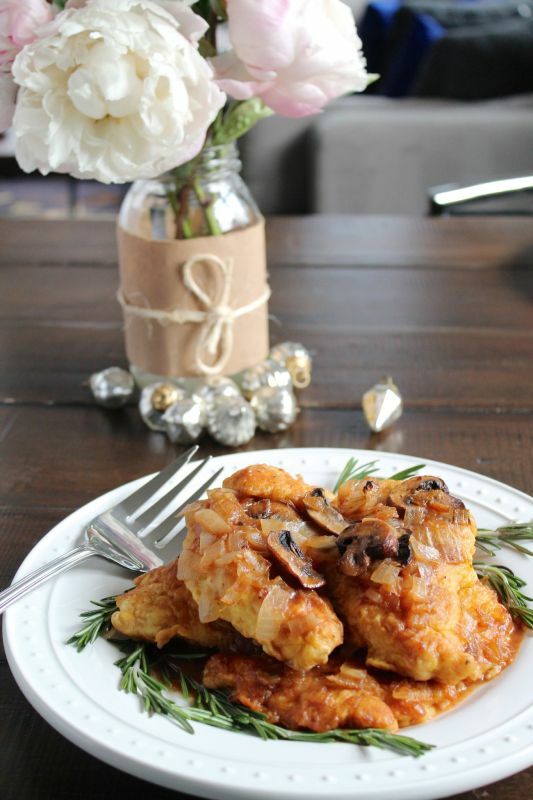 My sister sent me a photo of the recipe, which I am now sharing with you. 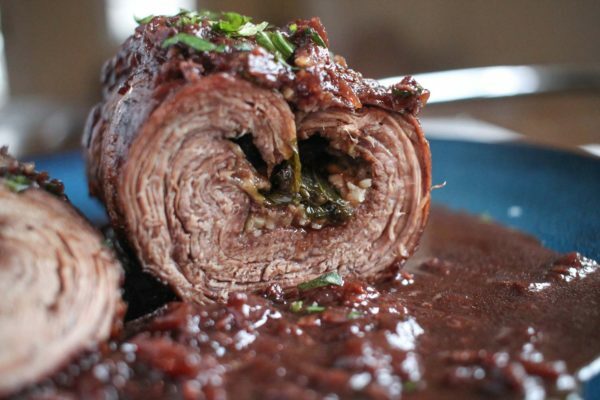 For the record, I still prefer Braciole with marinara sauce, but the rest of my family prefers my Mom’s Braciole with Red Wine Sauce. Although the recipe doesn’t call for it, if you love mushrooms, go ahead and add them to the sauce, I think they would be a great addition. 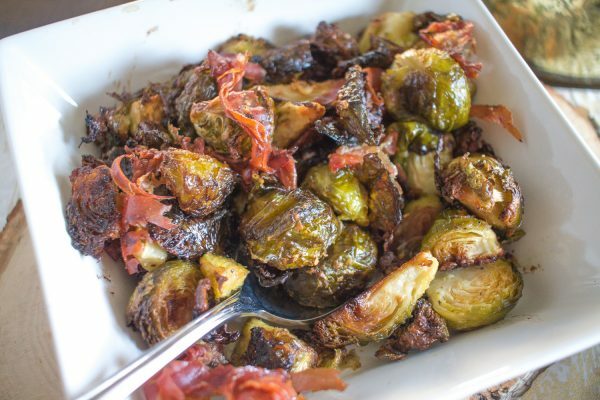 I completed this meal by serving with roasted potatoes and brussels sprouts. 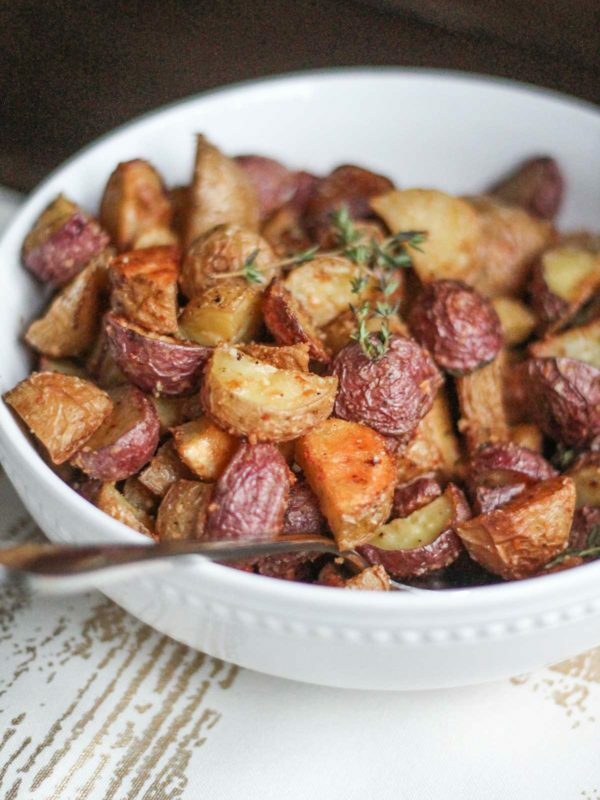 The sauce is excellent with roasted potatoes. 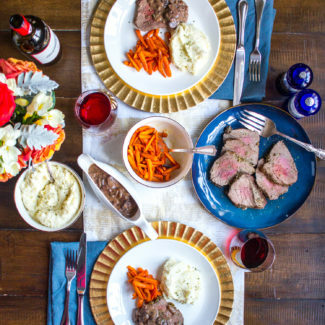 This Pork Tenderloin is stuffed with blue cheese and caramelized onions, and it is much more affordable than beef. 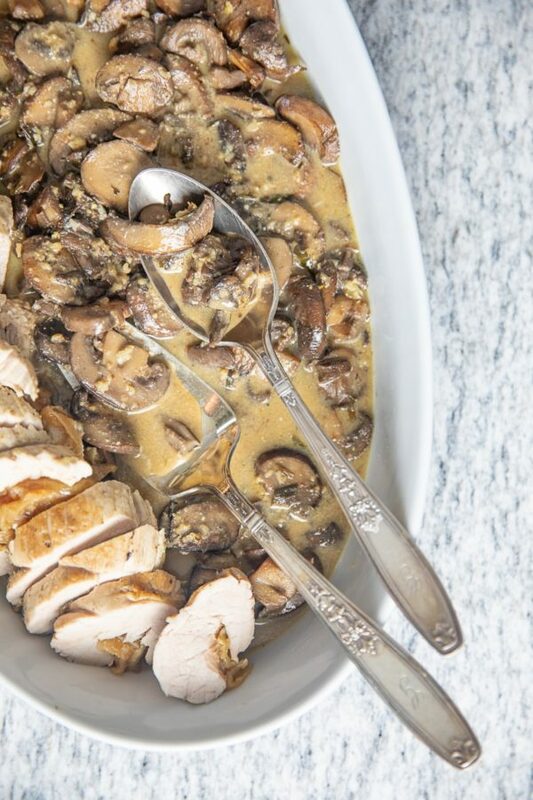 Classic Chicken Marsala is a crowdpleaser, and it can be completely make in advance and then reheated – it’s actually better the next day. 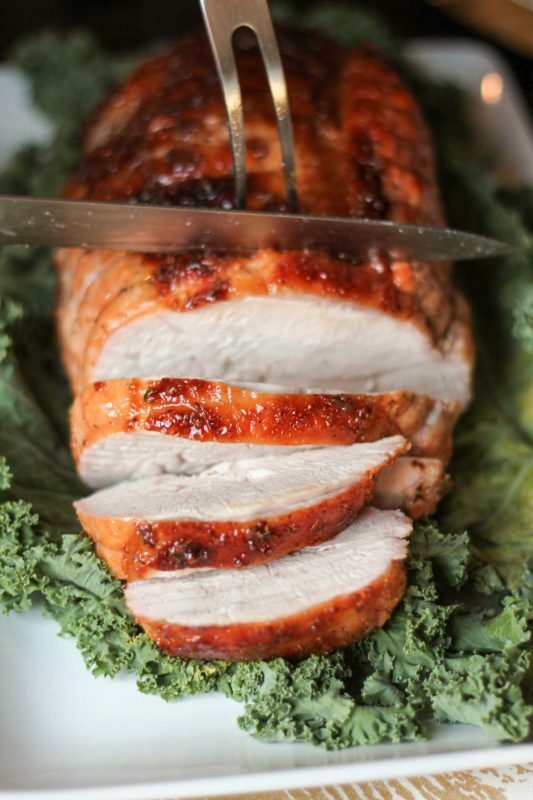 Roast Turkey Breast is really easy, and you can still make gravy from the pan drippings! Pound the steak with a meat mallet until it is as thin as you can get it. Then generously dust with salt and pepper. Spread half of the garlic over the steak. Add the cheese on top, pressing it into the steak. Top with 14 basil leaves. 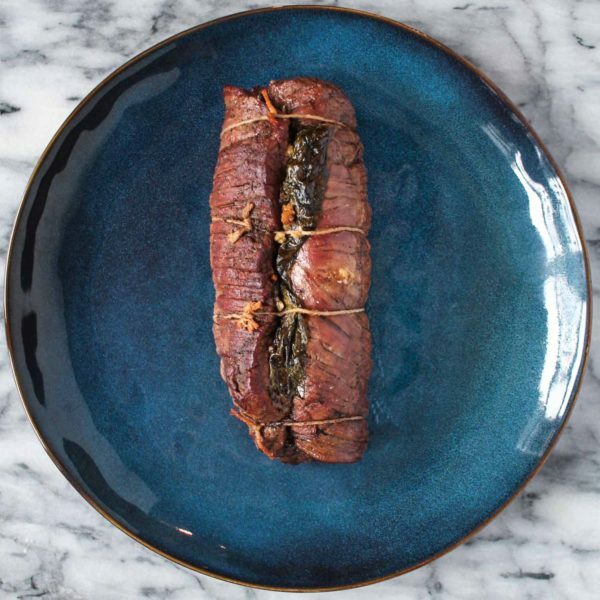 Tightly roll up the steak, tying it with butcher's twine. Season the outside of the steak with more salt and pepper. 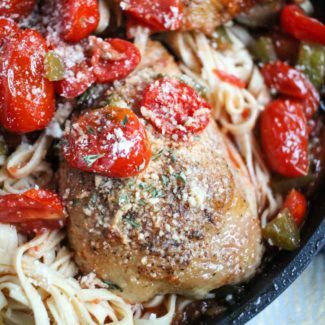 Heat the olive oil in a dutch oven over high heat. Add the steak and brown all sides, this will take about 5 minutes. Then remove the steak and set aside. Reduce the heat to medium, and add the onion. Cook the onion for about 10 minutes, until golden brown, stirring frequently. Add the remaining garlic and cook for another minute. Add the wine, beef stock, red wine vinegar, and bay leaves. Bring to a boil, and use a wooden spoon to scrape up any brown bits stuck to the bottom of the dutch oven. Place the steak in the sauce, seam side facing up. Cover the dutch oven and place it in the oven, letting the steak bake for 90 minutes to 2 hours, until extremely tender. 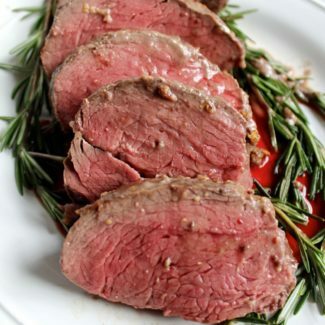 Check on the steak after an hour to make sure that the sauce isn't reducing too much, add more beef stock if necessary. 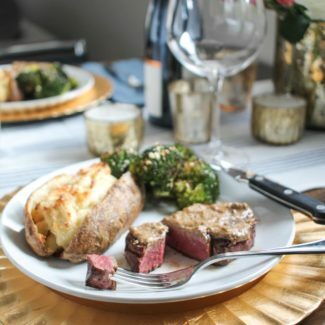 After removing the steak from the oven, place it on a platter. Pour the sauce into a bowl to serve on the side (I poured a little over the beef for photos). Chop the remaining basil and sprinkle over the steak. Slice the steak into 3/4 inch slices and serve with the sauce drizzled over.